Padova Hotel has an amazing restaurant and you will fall in love with our food. Every recipe is prepared with our customer in mind. It is strategically situated to give you an amazing view of Padua city where your dinner tastes heavenly as you enjoy the magnificent view at ends of the day. Your breakfast is full of sunshine on a bright day and you can much it with excitement to enjoy a whole day ahead of you. Our breakfast buffet is expansive and we can provide gluten free diet if requested to. Our restaurant knows that a heavy and hearty breakfast is essential. It is a healthy start of your day. Enjoy the savor creatively cooked breakfast, which are nutritious and made with only fresh ingredients. If you do not want anything heavy, we have fruits and a cup of coffee or tea. Other dishes served in the morning are cold cuts, cheese and a lot more that suits everyone including kids. 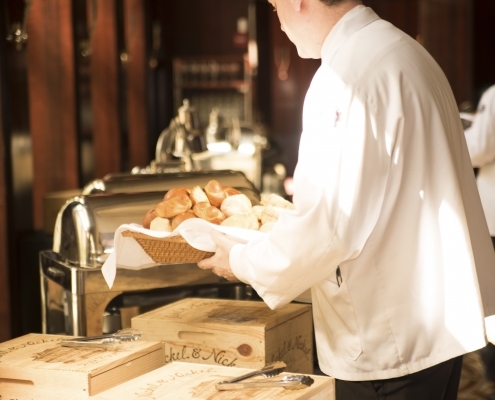 Our breakfasts are served generously from fresh breads or pastries to yoghurt and cocktails. We take care of you from morning and you day begins on a good note. Anything you want and it does not appear in the buffet can be ordered through waiters who are always standby and ready to serve our customers. If you want an early breakfast we have it ready from 5.00 am up to 7 am however, during weekdays, you can eat your breakfast between 7.00 am and 10.00 am. During holidays and Sundays, breakfast is served from 7.00 am up to 11.00 am. This same area transforms as the day passes by and you can stop by for lunch. As you relax after an enjoyable morning, the Padova hotel restaurant offers you delicious foods for lunch. You can relax and get ready for your afternoon or an adventurous night. Our cuisine is innovative with reinvented local food that blends perfectly with contemporary and international foods. We give you an amazing experience that makes you feel the past mixed with current and future Italian cuisine. During weekdays, diner served between 12.30 pm and 2.30 pm. We offer flawless service with our trained professionals who will take of you during your stay in our hotel. Taste food made by a modern chef in an elegant place that has furniture with international style that suits the taste of different guests in our hotel. Our kitchens have graced by Michelin start chefs and we have served guest from all over the globe. Every moment spent in our hotel will be turned into a special one. 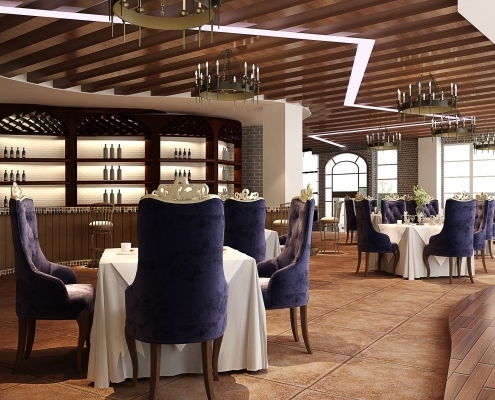 Our refined selection of foods from Italy combined with modern ideas gives us an excellent menu for our guests. A holiday or a business trip in Italy will fee heavenly at a Padova Hotel where we have chefs to satisfy all culinary desires. Our hotel is independent and modern with its unique history and beauty from 1970s architecture. Look no further, we will give you impeccable foods and wines with rich taste. Book ahead to get the best room and the food will make your stay complete.